Hit105‘s Abby Coleman is taking some time off from the Stav, Abby and Matt Breakfast show, having given birth to a baby boy named Koa over the weekend. 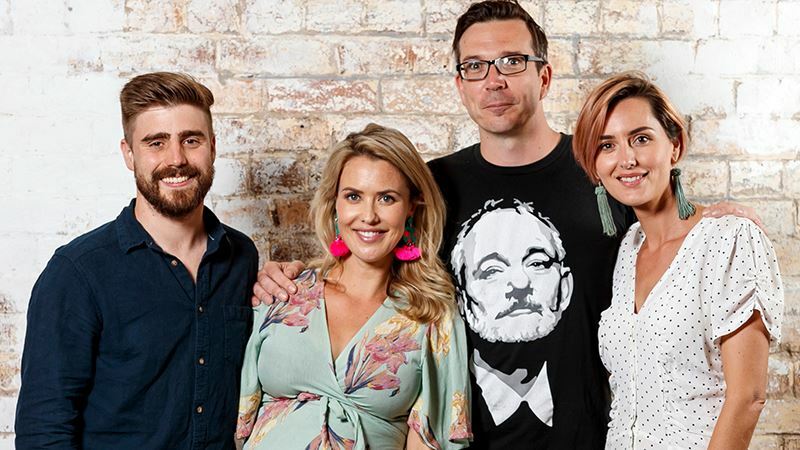 She’ll now take maternity leave and Lise Carlaw from Hit Network’s national pre-breakfast show ‘Those Two Girls’ will join Stav and Matt through to their summer break in January. “I am absolutely honoured I’ll be warming her seat,” Lise told Courier Mail. “I think the listeners will just come for the ride and if it’s clunky in a funny way then I’m up for that,” she said. Lise also said she’d be in close touch with Abby over the period. “She will be texting me story ideas that we should be covering or any tips and hints,” Carlaw said. Abby also revealed the meaning behind her new boy’s name on air this morning, calling in from hospital. “That’s a Hawaiian name, so it means brave,” Abby told Stav, Matt and Lise. Lise and her regular on-air partner Sarah Wills (better known as Those Two Girls) spoke with Radio Today earlier this year about their journey from hosting events in Brisbane to a nationally broadcast morning slot on SCA’s Hit Network. Is that Carlaw as in the footy player? Massive things are in store for Those Two Girls!